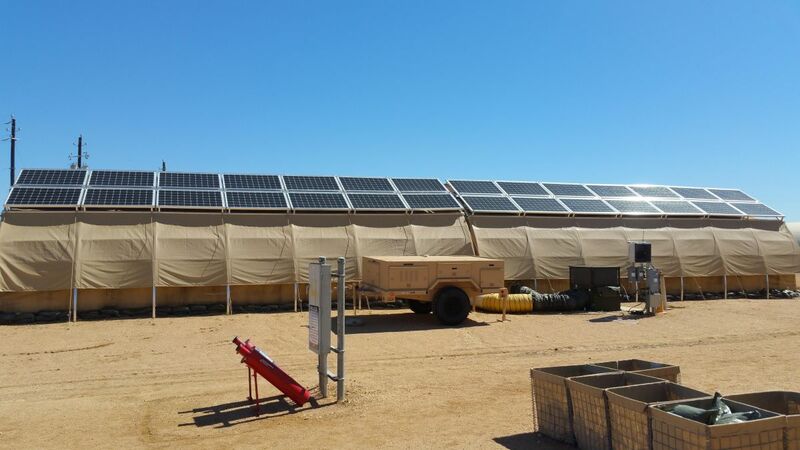 Even the military is becoming more solar-savvy. War has long gone high tech. While we may not yet have artificially intelligent robot soldiers, plenty of innovations have made our soldiers more reliant on electricity. Modern forces are in need of reliable sources of this power to successfully complete their missions around the world. The Air Force Research Laboratory’s Advanced Power Technology Office (APTO) is working on solutions to meet that need. Having such technology in the presence of military operations provides some unique obstacles that your average solar farm may not have to consider. For this reason, the APTO is also working on making the solar panels bulletproof. Renewable sources of power allow for a lot more than just a cleaner Earth: fossil fuel power generation simply can’t produce the kind of power possible with this type of technology. Diesel generators require constant refueling, which would be a serious physical burden on any mission. The APTO plans to continue testing the tech and work with the Army to provide the best energy solutions for the U.S. military.